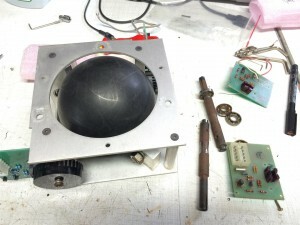 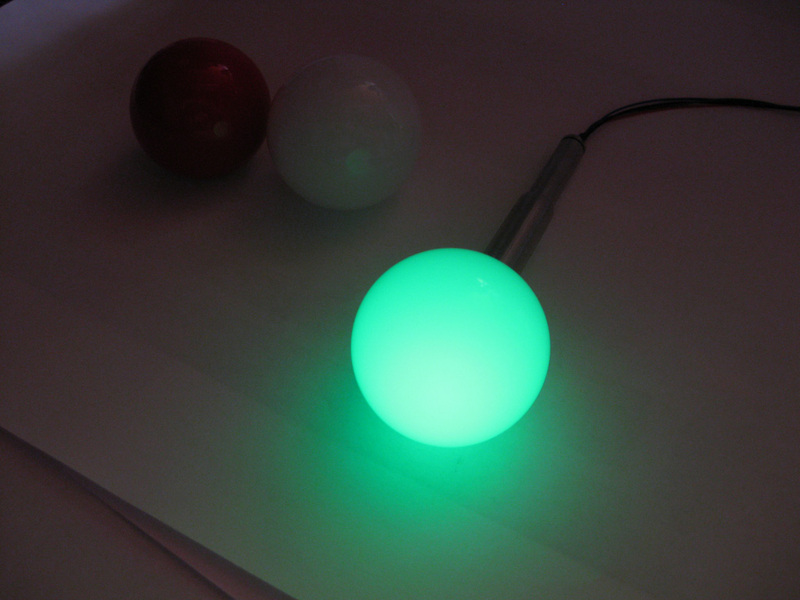 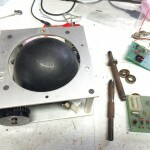 I got replacement parts for my Monster Trackball a vintage original 4 Zoll (real 4.5 Zoll) Atari Trackball. 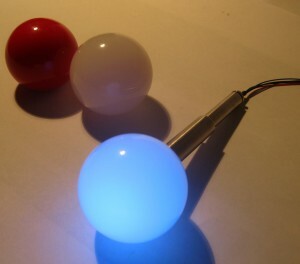 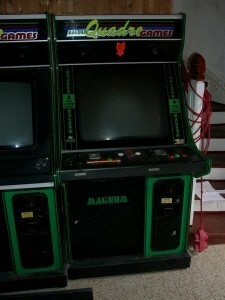 It was used in Atari Football and Missile Command. 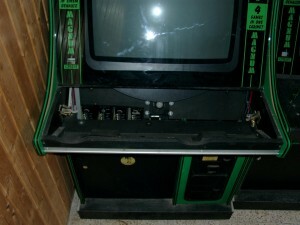 First I have to dissaemble it. 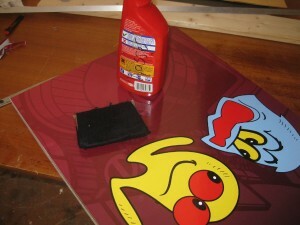 cleaning was necassary with ethyl-alcohol and soap. I changed the handles, 5 bearings , and Opto PCBs too. 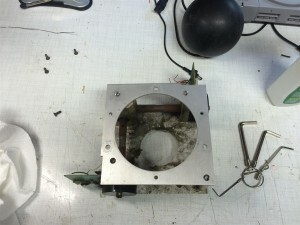 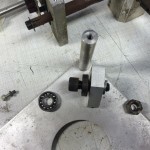 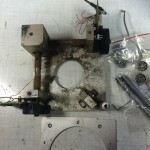 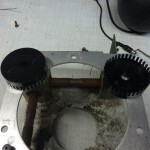 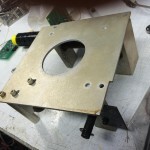 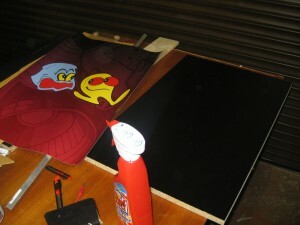 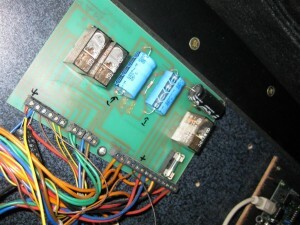 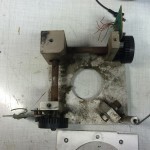 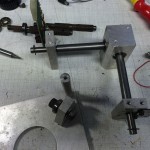 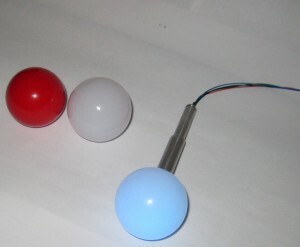 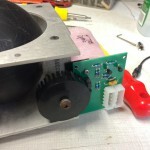 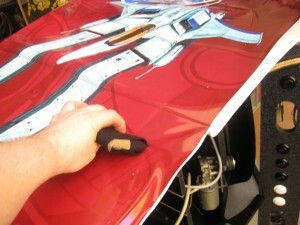 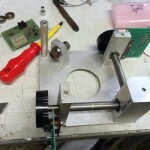 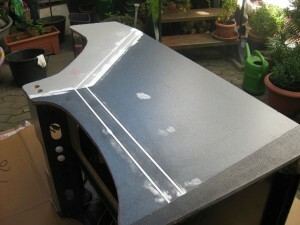 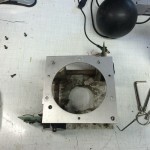 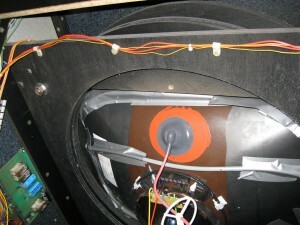 here you can find some pictures of the rotating parts needed to make the retroarcade turnable. 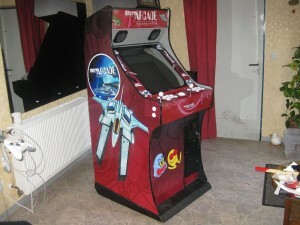 Today I finished my first Retroarcade with complete adhesive film. 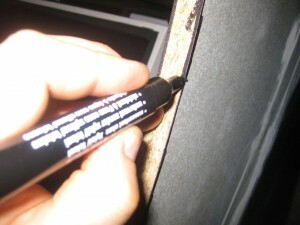 I am using a black “edding” for the edges of the t-molding. 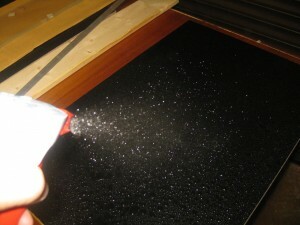 So you didn’t see any yellow wood if the t-molding is not 100% in the middle. 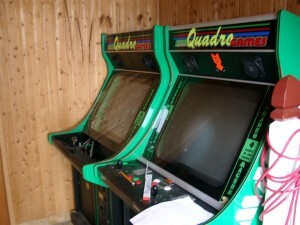 Here you can see some pictures including bezel, marquee, t-molding.. and CP without RGB-Leds..
after polish the good old Jumbo Quadro Games Cabinet, I found a bigger one a rare cabinet called: Quadro Magnum. 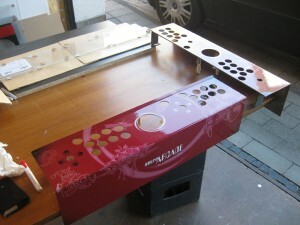 It will take some time to finish this project, because its for me and I have a lot other work to do at the moment. 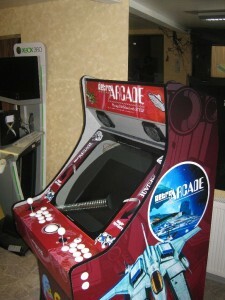 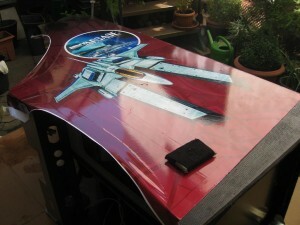 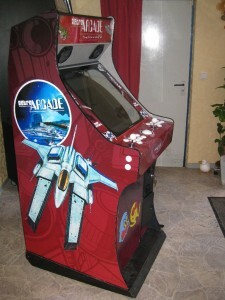 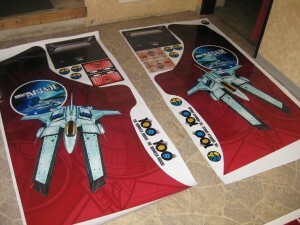 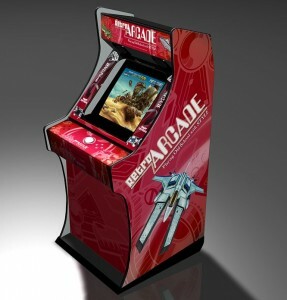 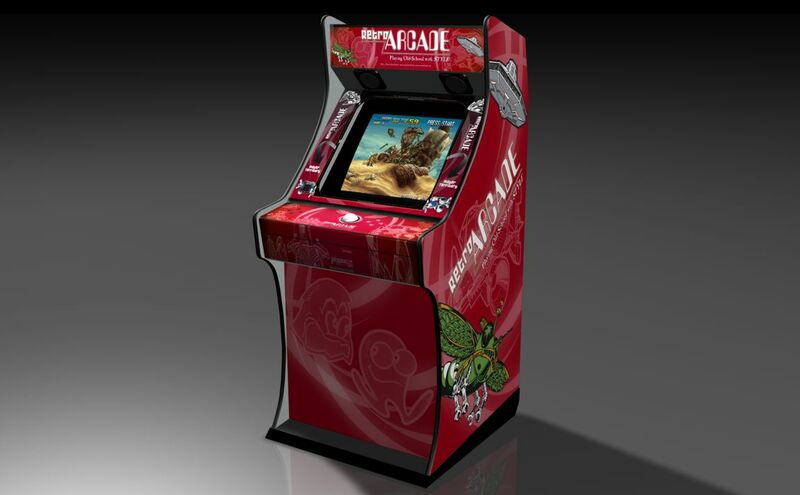 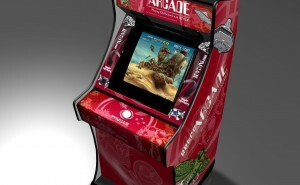 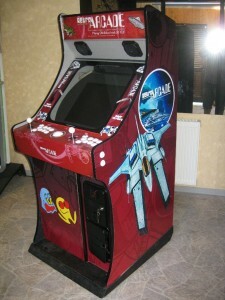 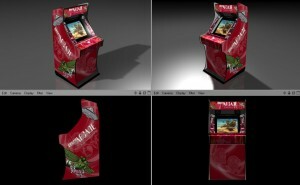 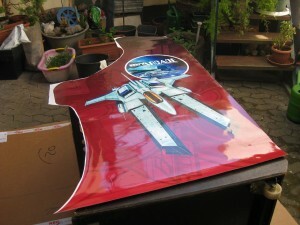 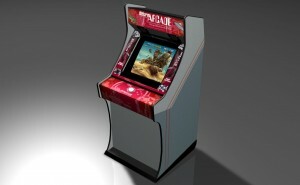 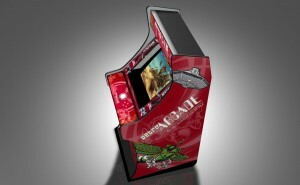 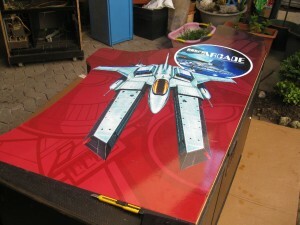 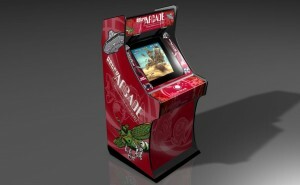 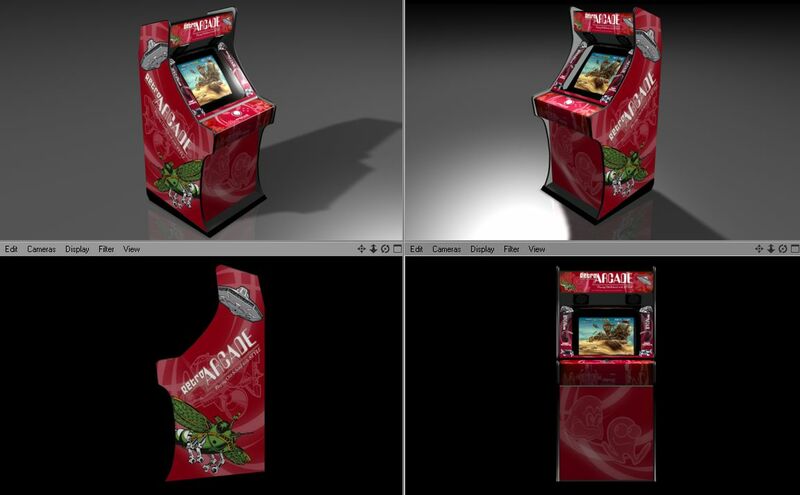 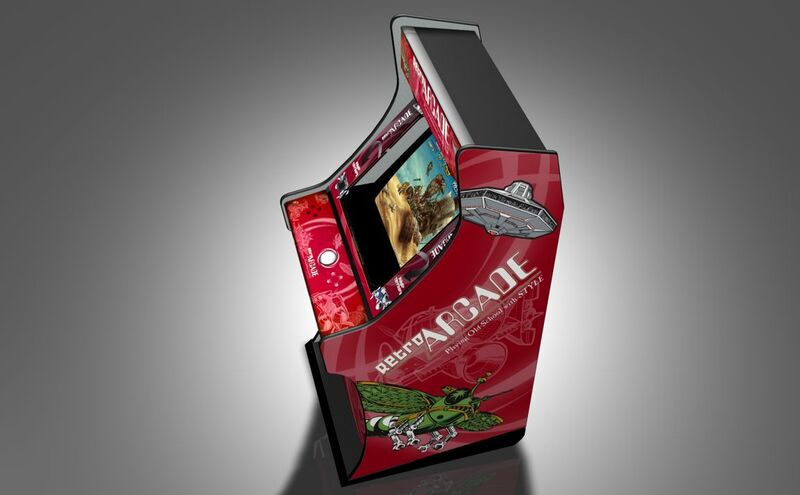 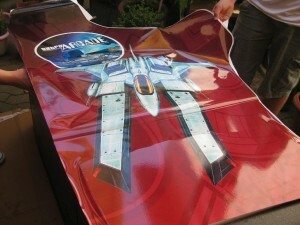 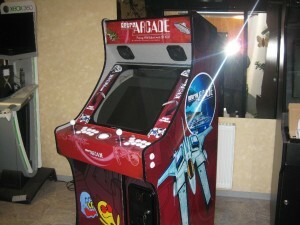 Thank to Alex from cologne, I got a Cinema4D Object of the Quadro Games Jumbo Arcade Cabinet. 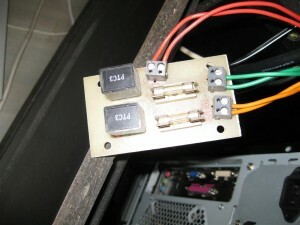 And it was time play with it, to show whats possible to make.